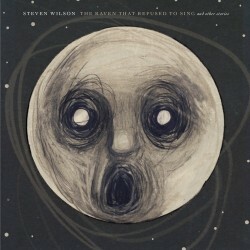 Steven Wilson has always been obsessed with two things, progressive rock music and ghost stories. Growing up a fan of bands like Pink Floyd, King Crimson, Yes, and Electric Light Orchestra, it's no wonder that Wilson would show off his influences throughout his musical career. Being the frontman of the greatest progressive rock band in the world currently, Wilson has shown an inept ability to make gorgeous, melodic prog music while also being able to show off a heavier more aggressive style as well, especially in recent years. Of his band Porcupine Tree's discography, the one album that truly stands out from the rest is Deadwing, an album about a widower whose wife comes back as a ghost. The story is all a bit chilling and was a perfect way for Wilson to combine his two greatest obsessions. In fact, he and friend Lasse Hoile actually wrote out an entire screenplay around the idea for the album but it never saw the light of day. Almost ten years later from Deadwing, Wilson has returned to those ghost story concepts for his brand new solo release. Each song off The Raven That Refused To Sing (And Other Stories) tells a different tale of a lone haunting by a ghost and even one of the tracks "Drive Home" is totally reminiscent of Deadwing's entire concept. This is Wilson's third solo record and going into it, I was as excited as I normally am with his material. His first two records, although exceptionally good, don't have that ever lasting effect that Porcupine Tree has upon itself and they become a bit forgettable, but after listening to this album a handful of times I was absolutely blown away. This is by far Wilson's best effort as a solo artist as he is able to combine elements of all his favorite progressive music while also sticking to the pretty melodies that he's made over the years. The songwriting is worthy of a best lyrical album notice for the year so far as Wilson goes back into his comfort zone but outdoes himself. From the tremendous guitar solos to the flute fills and incredible engineering by the legendary Alan Parsons, this record is sure to be at the top of the list this year. Let's face the facts, Thom Yorke is one of the most brilliant minds to ever make music. Throughout his career as the frontman for Radiohead, he has done nothing but impress (aside from King Of Limbs of course). 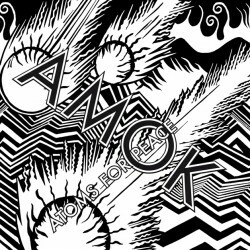 We have seen his influences morph from being the basic alternative sound to something much more electronic and these changes seemed necessary to tread into the new abyss that is Atoms For Peace. This super group, composed of bassist Flea, long time Radiohead collaborator Nigel Godrich, drummer Joey Waronker, and percussionist Mauro Refosco as well as Yorke, began recording together in 2009. For three years, fans have awaited the release of their debut album which is set for release on the 26th. The album itself is quite different then anything the band members have ever composed prior to this release. Amok revolves around glitch driven electronic beats but also layers itself with guitars, drums and bass. We definitely have some alternative ingredients which probably come from Flea's elements and Yorke's former days but all in all, the main sound here is obviously the experimental glitch sound. I think the balance is almost perfect between the instruments and electronics and it gives Yorke a great space to vocalize in. His guitars also show some great signs of returning to Radiohead's prime days which was a pleasant surprise. What I think is relatively weird is the absence of Flea's amazing bass playing. Obviously, yes, there is bass but I had figured he might take the spotlight on occasion here. In the end though, he more or less just subtly takes the form of the rest of the band and doesn't stand out the way I had imagined. My favorite part of this album is the wild percussion done by Refosco and Waronker who somehow make these brilliant additions to the glitch heavy sound. Musically, this album was far from a let down and I like seeing each member experiment outside their comfort zones. Although this album doesn't quite live up to the incredibly high expectations I may have had, it ends up sounding exactly what Yorke wanted Kings Of Limbs to sound like, not some glitch pop nightmare. 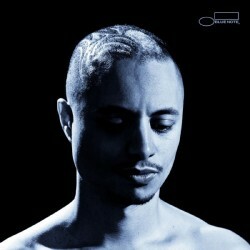 Jose James is a product of jazz music. Being the son of a saxophonist would end up being a major influence on his future as a jazz singer himself, especially after going to The New School for Jazz and Contemporary Music in New York. Although James has manipulated the classic jazz style to incorporate some additional, more modern techniques, his overall sound is still focused on and around jazz elements. By adding hip hop, funk, r&b and soul to this prolific jazz sound, James is ultimately considered an acid jazz musician and he plays this style terrifically. 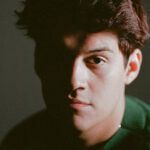 No Beginning, No End is the title of his third record and his progression as an overall artist is clear. James has never been the average jazz singer, relying more heavily on a soul or r&b style as his soft vocals don't hit low or high notes. Instead, his voice just flutters with the instruments and even though he isn't a tremendous singer, you might not ever even realize it as the production and instruments really match up with the rhythm of his voice. The downtempo techniques used here are rather subtle yet they achieve what they set out to do and that is to allow James a nice landscape to sing on top of. The lounge driven focus here on the record is very relaxing and pretty as instruments do just barely enough for each track yet I long for a bit more. I think there are plenty of moments on this album where a change of tempo would have benefited the tracks but it never really comes. Instead, the record does sort of become a softer acid jazz record and the absence of much excitement does make this album come up a bit short. If more bass had been mixed into the tracks, I think this album would have reached the next level but the production ended up being quite ordinary. 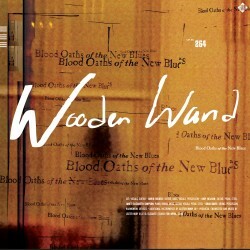 Wooden Wand is a project started by singer/songwriter James Jackson Toth. Toth has been making music not only as a solo artist but as a band member as well for years and his oddly midwestern style of Americana folk music has always been at the forefront. Blood Oaths Of The New Blues is his newest release under this moniker and is an album full of ups and downs and imaginative tales that all give you a rainstorm of different emotions. The music is in the vein of those primitive years of midwestern folk music and even though Toth is a New York native, he still somehow grasps onto these styles and it sounds completely natural. Much of this record revolves around some acoustic guitar riffs and the monotone vocals of Toth which gives the album a certain sense of dramatic endeavor. The first track is a lengthy 12 minute ballad which, although quickly tires itself out, still represents a very nice ode to the genre. This style of voice and guitar has been done infinite times throughout music history and artists need to find ways to separate themselves from the rest. This is where Toth falls short as his music isn't much more then some melodic, slowed down, dry land tunes that you might have heard in 1895 at some ranch home in Missouri. 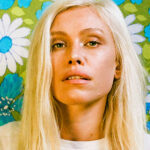 The songs are all very well written and inspired but it doesn't show any signs of being something new. I really do enjoy Toth as a songwriter and although I don't fully click with this record, I still think he has a great deal of potential, I'd just like to hear a bit more influences rather then more atmosphere. Back in 2011, we were all witnesses to the rise and fall of chillwave music. It came and went faster then Ben Affleck getting screwed out of a best director nomination (Argofuckyourself Academy). Throughout that year though, we had a great deal of psych pop artists who were all making these really chilled out, beach styled psychedelic music and this movement was so much fun. It was basically my entire summer in a nutshell, listening to artists such as Dumbo Gets Mad making these awesome beach rock songs (check out "Plumy Tale"). Although their debut album was a soundtrack to that summer of mine, the sound still couldn't manage to stay significant throughout 2012. 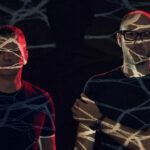 The Italian duo's sophomore album Quantum Leap was released the first week of February and regardless of the major drop off of the genre, the band has decided to keep things basically the same. Low production qualities, plenty of funky bass lines, drugged out synthesizer progressions and incomprehensible vocals are the elements that build this album up and this time around it just doesn't work. Whereas the pair's debut record captured a certain atmospheric setting, this album seems to be aiming more for a certain time period, the 70's prog era to be exact. Now, instead of listening to this music and picturing yourself on a southern California shoreline, I'm instead, picturing myself with a thick beard and high on illegal acid and it's just not nearly as pleasant. The songs all try so hard to be artistically fun that the life is sucked right out of them and we are left with horrid production on songs that needed some tailoring to work in the first place. Tortuganónima is a young 4 piece math rock band from Chile. Their self-titled debut record was released in January to some unexpected popularity among indie fans and after listening to this record a few times, it's very evident why. 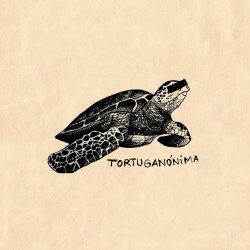 Tortuganónima is a basic math rock band, combining to guitars with a bass and drums. The obvious setup becomes intriguing though as the song structures are all composed with the average off beat time signatures and wild drum rampages that are incredibly powerful yet still melodic. The band is left without a lead singer but this instrumental style without vocals is actually a strength as the band is free to build and explode whenever they feel like doing so. Multiple guitars play the lead role instead here and playing off one another, the guitars off this album are pretty extraordinary. You can tell that both musicians are very technically gifted and although some might like to say that this album is like a manual on how to play math rock songs rather then something extraordinary, I would say that's entirely unfair. The band does seem to stick to the average style but the instrumentals are some of the most interested math rock structures I have heard in years, especially on tracks like "Kokoschka" which ends up sounding like this bright, sunny beach song by the time you get to the midway point. The album is a very refreshing release for math rock, which is a genre that has really slowed down as of late so I'm happy to see a brand new band carry the burden here. Waiting For Something To Happen is the sophomore LP from the London based twee pop group, Veronica Falls. 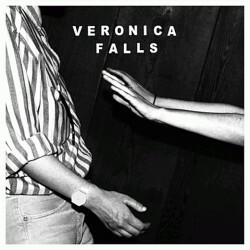 Formed in 2009, band members Roxanne Clifford, James Hoare, Marion Herbain, and Patrick Doyle went on to release their dreamy, debut twee pop record Veronica Falls to some widespread attention among indie fans. The music on the record was your average jangly pop anthem style but the playfulness of it all really became catchy. Not much as significantly changed for their newest record as the fun, sunshine pop songs still portray this 60's themed heartfelt atmosphere. If anything, the songs here are even more jangly and less intricate then what was on their debut record. Although the band aims to go for that Camera Obscura sound, they don't quite seem to have the craftsmanship to get themselves there. Most of the tracks here, which all revolve around 2.5 minutes in total length each, follow the same exact tempo over and over again and don't migrate away from those pop styled chord progressions that just never slow down. Whereas the best twee pop bands find intricate ways to add new blood to the genre, Veronica Falls seems to be just rehashing all the mediocre ones instead. It's a formula that I think is destined for failure yet somehow I still find moments of pure bliss on here that I just cannot leave out. Regardless, this album is a bit shallow and unimaginative which ends up being a dagger to the heart.